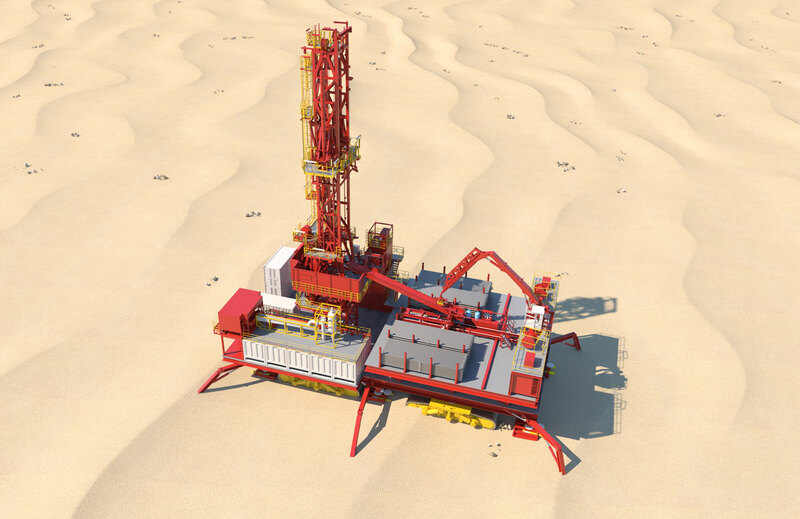 Innovative drilling rig for land use which moves from well to well, fully assembled on integrated crawler tracks. The Megatrack™ solution removes the requirement for rig up/downtime when arriving/leaving at a new location. The unit encompasses onboard electrical and hydraulic power generation and has been designed to be self-sufficient whilst drilling. Onboard facilities incorporate wireline, coil tubing and well test packages, alongside a field proven drilling unit and modular mud system.